* Please read the entire page before purchasing, especially the agreement found at the bottom of the page! 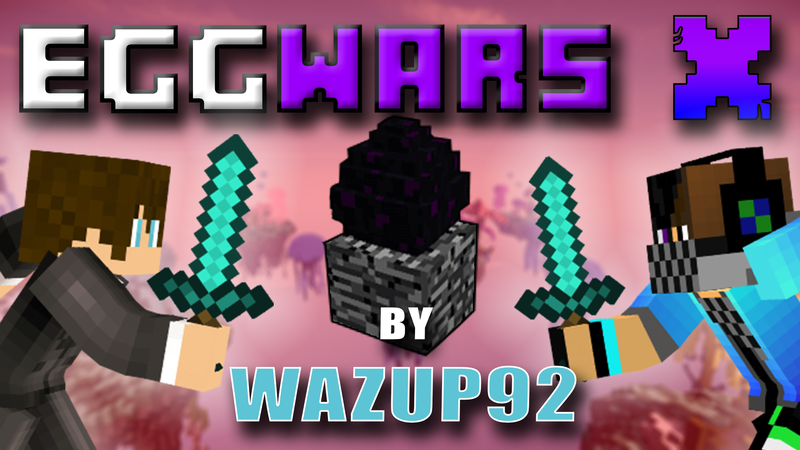 Eggwars X: The ultimate fun game! Create parties and join teams along with your friends and protect your egg with your life! Upgradeable generators will give you the materials needed to buy all the good gear and needed items for survival from the villagers around the map. Attack other islands and destroy their egg to prevent them from respawning and eliminate their team! Gather coins through winning and unlocking achievements and buy new kits and trails through the shop or the mystery box! Check out my other projects as well! Not all of suggestions will be taken into consideration. If I feel only you would benefit out of your suggestion it will probably not be added. so some suggestions will straight up be denied and probably never added. and customization requests WILL most likely be rejected. So view what you can change and what you can not CAREFULLY. Built in world manager, you can create, delete, import, backup, restore, tp, setspawn, list, worlds. Join signs, Auto join signs, Leave signs, Leaderboard signs! Parties system! All done through a gui, You can create a party and invite players, Only the party leader can join a game or leave a game, members follow the leader actions. A mystery box with a cool unlocking animation! You can customize the chance of each rarity and the chance of getting a kit or a trail. Awesome scoreboards that you can change the text of, but not the order. You can spectate active games! Voting system! You can vote for Weather, Health, and Shop items, and each of these categories has its own permission! You can make any block in the arena a generator, and you can make it generate any item in the game, at any speed you like. 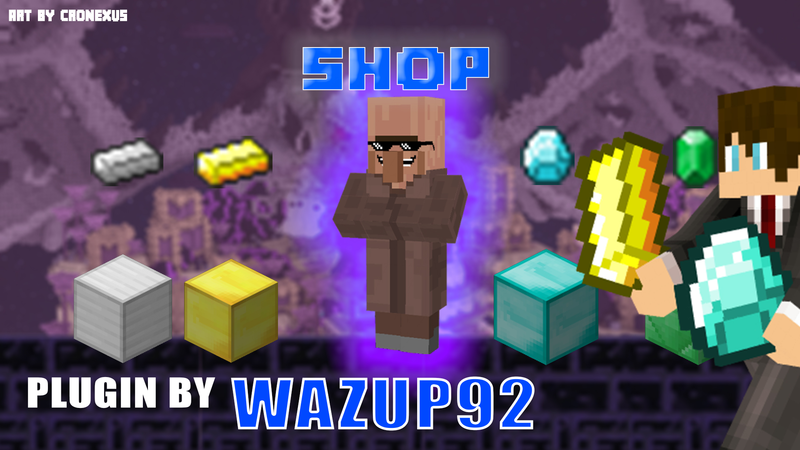 You can customize the items that the villager shop sells, and create/delete categories as you like. you can also create different villager shops that people can vote for. Special items! The plugin offers some items that have special effects on use, such as a Teleporter that takes you back to your spawnpoint and a player tracker and a bridge builder and more! as of the version 1.7 there are 7 special items that can be disabled if desired. Arenas that you create can be Solo, or Teams of any size you want! Players can not break arena blocks, and can not place blocks next to villagers and spawners. You can separate the spectators chat, team chat, and the lobby chat! API and Events to allow other developers to make addons! An update checker to keep you alert inside your game! Im wondering if you are still reading... but im sure you get the point eh? The plugin cotains features upon features! /Eggwars leave -> None -> Removes you from the game! /Eggwars removevillager -> eggwars.removevillager -> Removes a villger from the arena! /Eggwars updateregion -> eggwars.updateregion -> Updates an arena region! /Eggwars worldmanager -> eggwars.worldmanager -> shows a list of world management commands! /Eggwars reset -> eggwars.reset -> Resets a player stats! Thanks for @CroNexusGamer for this gameplay on version 1.9! start by using /ew wand and use the tool given to select the 2 corners surrounding your map. Min teams is the minimum amount of teams required for the game to start the countdown. and to set the team egg, you have to look at the egg and do the command /ew setteamegg <Arena> <Team Color>, once these 2 steps are done, the team will be registered. * If you have made any changes to the arena blocks after creating it, you should update it with /ew updateregion <Arena> and it will probably ask you to set the 2 corners again. After you are finished you can use /ew edit <Arena> to enable the arena and change some other settings. Thanks to @uberstudioshd for this awesome English tutorial! Thanks to @CroNexusGamer for this English tutorial! Early versions of the plugin may face some issues or errors, please do not instantly hate on the plugin and instead contact me and i will work on fixing them Use the discussion area to report issues. This is the biggest plugin i have made so far and chances of mistakes are higher. Default configurations are provided as a gift. If you do not like them do not complain and instead change them to the way you like. Signs are being created, yet they are not clickable! Generator says it is fully upgraded! Is this plugin a one game per server? When you buy this plugin, you agree to the following terms! You are buying a digital good that can not be returned whatsoever, meaning you are not allowed to request a refund at any time. You are not allowed to redistribute the plugin on other websites or with your friends. Im not obligated to update the plugin every so often. you buy the plugin as is and do not expect anything extra, nor do you expect that your suggestions have to be done or even be considered. fuk, BlueStarKNG, Zed the Cat và 10 người khác thích điều này.